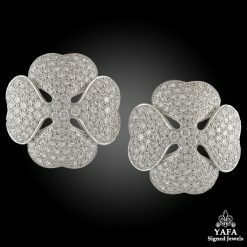 A regal pair of ear clips by Van Cleef & Arpels dating back to the 1970s, crafted in platinum, featuring brilliant diamonds of various shapes at various angles to capture their light and radiance from all directions. 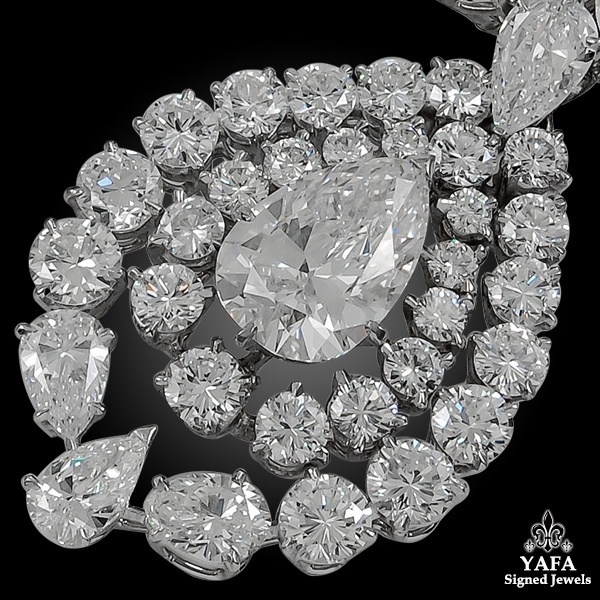 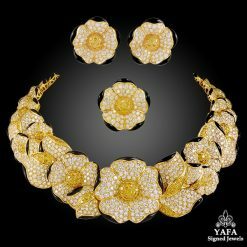 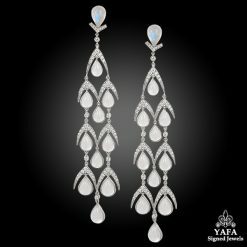 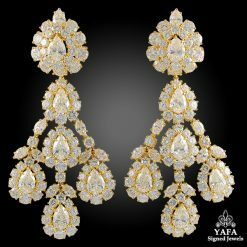 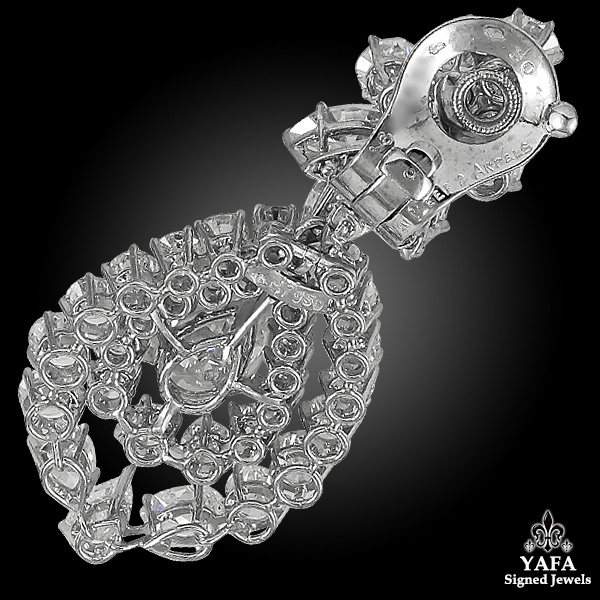 From each cluster drops a magnificent center pear shaped diamond weighing approximately 3.55 carats, surrounded by a double frame of brilliant round cut diamonds. 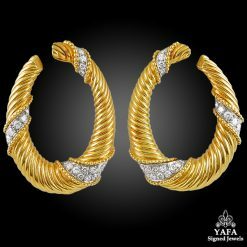 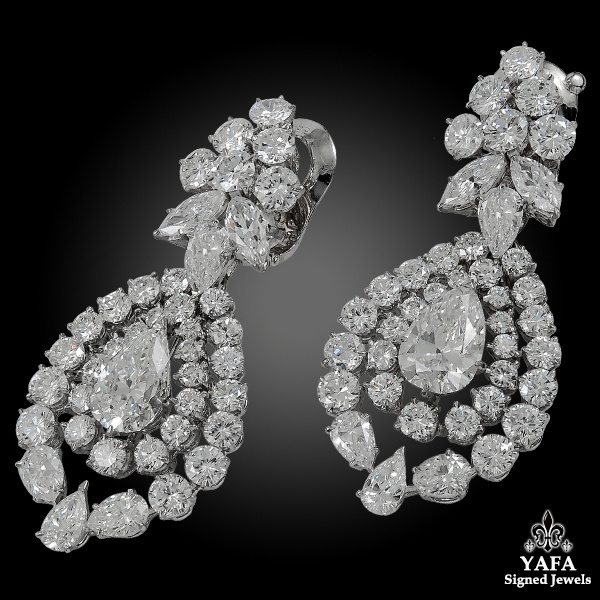 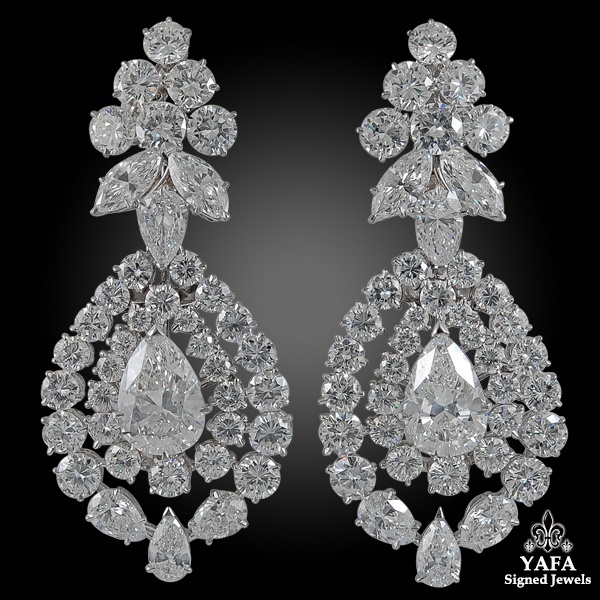 This remarkable set of earrings weighs a total of 30 carats.